For companies who are considering financial outsourcing, it all starts by asking the right questions. 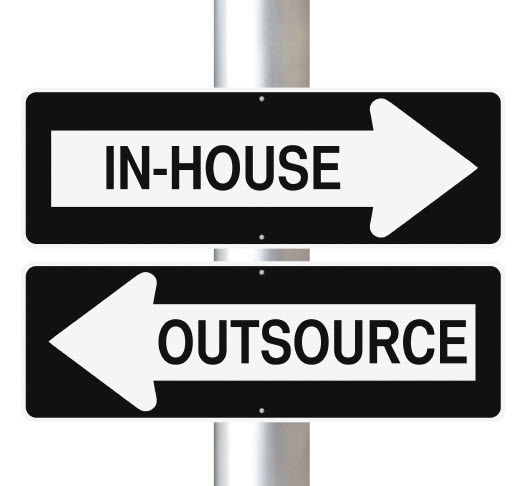 What can your business stand to gain – or lose – by outsourcing? What areas of financial services typically require outsourcing? And most importantly – how do you know if it’s right for your business? There’s no quick and easy answer; in fact, an outsource may or may not be the right move for your business. But the determination process requires research, time and significant change management. To put your company on the right path, consider these answers to some of our most commonly asked questions. Q: Why has it become more common to outsource finance and accounting functions, and what do businesses stand to gain by doing it? A: Outsourcing has become more prevalent in the last decade, particularly among industries experiencing shifts in their businesses. This includes firms in the technology, banking, and healthcare industries. Offshoring payroll, accounts payable, accounts receivable, general accounting, fixed asset accounting, billings, standard reporting and other finance and accounting functions provides significant opportunities to cut costs. And, as the Internet becomes more sophisticated with technologies such as cloud computing, hiring firms on the other side of the world has become far more feasible. It is important to note is that outsourcing offers scalability, and it can be a great cost-saving move for both companies experiencing growth as well as companies that are in a downturn. By offshoring non-revenue-generating functions, it becomes easier to expand and contract the offshore services which can lead to lower in-house costs such as hiring new talent as well as reductions in force. Also, because offshore dedicated finance and accounting firms may have more qualified personnel than your in-house team, more efficient processes and improved ERP systems, companies can often achieve the same or better results by outsourcing at a much lower cost. Finally, there’s the issue of redundancy. You may only have one team member who understands a certain process – fixed asset accounting, for instance – and if that person is out sick or on vacation or even decides to leave the company, a variety of workflows can come to a halt. With an outsourced firm, on the other hand, there are typically multiple players who are trained to perform a certain task who can more efficiently perform the task with no down time, are able to double-check work and also collaborate among themselves. Q: What services are most commonly outsourced? A: Outsourcing within finance/accounting is most common (and probably most useful) in transactional areas, where there are repetitive, step-by-step tasks being performed such as payroll, accounts payable and accounts receivable. These are the jobs that allow outsourced workers to follow a set of steps (like a recipe) and not be concerned about the “why” behind the process. These tasks are usually easy to explain and document, so they’re ideal when you’re still adjusting to the working relationship with an outsourcing partner. Taking these repetitive tasks away from in-house personnel ultimately allows for more time spent on value-added activities and deeper analysis within your in-house teams. Some areas however are not as conducive to outsourcing, such as a more integrated function like cost accounting. For example, cost accountants work closely with manufacturing operations, supply chain, marketing, and R&D functions, which requires a more intimate familiarity with products, manufacturing processes, multiple site locations, and clients. The tasks are not necessarily always repetitive so training an offshore vendor would be much more difficult. Outsourcing initiatives have also extended into finance functions such as Financial Planning and Analysis. Outsourcing lends itself to such tasks as creating and updating monthly and quarterly forecast reports, which can typically be formulaic and standardized. Q: What are some of the key considerations in selecting and integrating with an outsourcing vendor? A: As with any outsourcing initiative, picking the right vendor is critical, as many items need to be taken into consideration. Near the top of the list is ensuring the vendor has the best qualifications for your firm. Are they experienced in your industry? What similar companies in your industry have they worked with – and for how long – and what have been their results? And, if you’re outsourcing a heavily regulated function, are their auditors qualified, certified and up to speed on the latest regulations and legislation? Are they qualified to perform GAAP processes? Another important factor is culture, with both the country and the company itself. Cultural differences between, say, Southern California and India, can potentially disrupt communication, and it usually takes time to develop a process that leads to the fewest misunderstandings and greatest work product. There are also other factors to consider, and chief among them are obviously cost savings, but also time zone differences (is the vendor willing to work 24/7 for example), how you will measure success (or failure), what are the back up plans in case of system outages, etc. But, cost should not be your primary concern. Saving money is a top reason for outsourcing in the first place, of course, but offering the job to the lowest bidder can sometimes backfire. When choosing a vendor, companies could potentially pay far more in the long run after partnering with cheaper, less qualified vendors that end up underperforming. So it is important to do a thorough vendor selection and take all these considerations into account. Q: What are the potential drawbacks and pitfalls of partnering with a third party, and can they be avoided? A: Most drawbacks can be mitigated. However, there’s usually going to be some loss of connectivity and continuity within your company. Your entire accounting/financial team won’t be sitting directly in the office, and depending upon the time zone differences, you may not be able to communicate during normal business hours, either. A viable outsourcing initiative also can take a few months up to a year (or more) to set up successfully, and it might actually cost you more money at the outset. You’ll encounter redundancies between your firm and the outsourcing partner as your teams train the outsourced team, and the first couple of quarters may require substantial re-work and re-training and even travel costs. Both internal and external communication can also be rocky at first. Your company’s managers and executives may be used to dealing with the same in-house senior manager to answer a variety of accounting/financial questions, for instance, while the new process will have them consulting with new personnel overseas. This can lead to frustration if you haven’t instituted strong change management within your organization. The best way to smooth over these difficulties is to communicate with everyone before the transition and make sure they understand how their workflows will change. Provide them with liaisons that are both in-house as well as at the vendor to make the transition smoother. Selecting a vendor that is in another country or time-zone requires creating buy-in among the teams who will be working with them. Q: Overall, what are a few of the most important factors that should influence a firm’s decision to outsource or hire more in-house personnel? A: Given the bottom-line benefits most companies are looking for, a cost savings analysis should be the first consideration. Price shouldn’t be the determining factor when selecting a vendor, but offshoring should be a clear cost-cutter. If it’s not, the rest of the selection process isn’t worth the time and effort. Some industries are more by-the-book than others, too, and you’ll need to think about whether outsourcing will be more work than it’s worth. If you’re in a heavily regulated industry, for instance, and if your current personnel perform a wide variety of complex, non-repetitive tasks, then the setup and integration costs may outweigh the benefits. Finally, you need to think about the lifecycle of your business. Outsourcing is a disruptive process, and if you’re going through an IPO or an M&A, it will probably make more sense to wait. Financial outsourcing is a highly involved, time-consuming effort. It requires significant work on your team’s part and by hiring experienced project management skills you can drastically reduce the potential issues and ramp up time needed for a successful outcome. If you need help determining if outsourcing is right for your organization, we can help – please call us at (855) 367-8020.